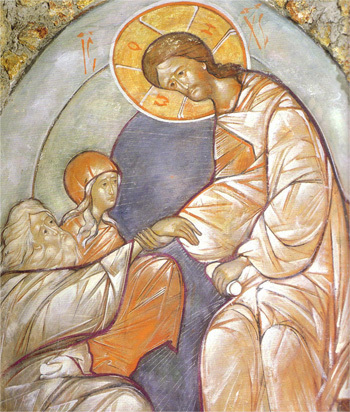 St. Innocent Orthodox Church - Why Great Lent? WHAT IS THE PURPOSE OF GREAT LENT? It is very natural to wonder what is the reason and purpose for all the things associated with Great Lent — the fasting, the extra Services, going to Confession and receiving Communion, asking forgiveness, giving alms, doing more praying and reading the Bible and other spiritual reading, and helping others more, and the whole experience of Great Lent. Many might wonder, why do we subject ourselves to all these things anyway? There are a number of reasons, but the most significant one is simply that we need it! The everyday stresses and pressures of a very corrupt and godless world around us has such a great influence on us that we frequently don’t even notice how far away we have wandered from being the kind of person and living the kind of life that the Lord expects of us. Usually this doesn’t happen overnight or suddenly — it is gradual. That is why the image of us wandering away like sheep is very valid. A sheep has its head to the ground, nibbling away on the grass and he just keeps going, following his nose as he eats the grass. 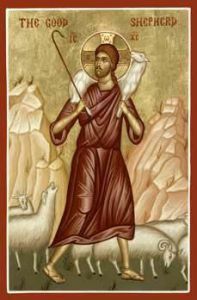 Then he might look up after a while and suddenly he discovers he has wandered away from his flock, and has gotten lost. This is really our condition as human beings — we nibble away a little at a time in our daily routine of working, eating, sleeping, playing, etc. and don’t realize that we are getting lost. Sometimes we have gotten so lost, we don’t even realize how lost we are, especially if we encounter other lost sheep, who think that being lost is the normal, natural way of living. So we need this annual Great Lenten opportunity to try to return to our flock—the beloved people of God, the Body of Christ. Great Lent provides this opportunity, when we are also preparing ourselves to be crucified with Christ so that we may be resurrected with Him. 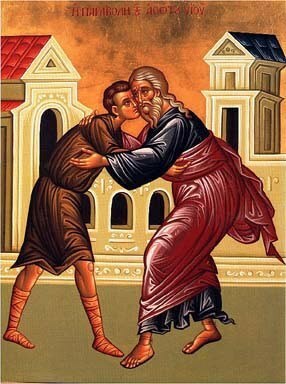 One theme of Great Lent is that we are in exile in this life, and that our true home is with God in His Kingdom, and that we must return as the prodigal son or daughter to our heavenly Father. But it takes a conscious effort and decision to return and get our priorities straight. After all, what really is important in life—what are our priorities? What the world around us tells us is important is the polar opposite of what God tells us is important. If during this special holy season of Great Lent, it is life as usual, we are missing the opportunity of getting our lives straightened out. When our priorities are messed up and we become lost sheep, then nothing works out right: we get depressed, discouraged, sick; we get used to sin and think that sin is normal, and that virtue is abnormal, and things just go wrong. So now we have the opportunity to get ourselves straightened out and to build up our relationship with God, without which life is a living garbage dump. So we can make a free choice: life as usual, or get back on the right path and stop making excuses of why we should not to go to church and Confession and Communion, why not to pray, nor make God’s priorities our priorities. We are free to choose the path of joy in God, or misery on the garbage heap of the world.